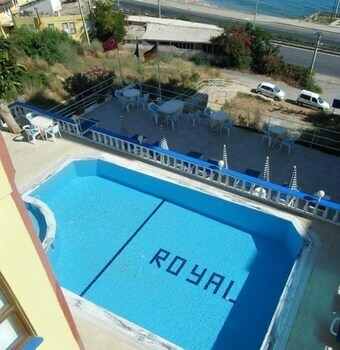 With a stay at Royal Hotel Alanya in Alanya, you'll be near the beach, within a 10-minute drive of Alanya Aquapark and Alayna Marina. Featured amenities include a 24-hour front desk, a safe deposit box at the front desk, and coffee/tea in a common area. Free self parking is available onsite.